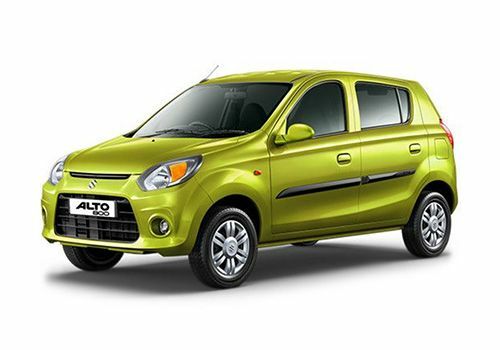 India's largest automobile company Maruti Suzuki India Limited has introduced the Maruti Alto 800 hatch in a bid to target the budget car buyers in India. This small car is powered by a F8D petrol power plant, which is unbelievably fuel efficient. A few weeks after launching the initial model series in the country, MSIL has rolled out the top end Maruti Alto 800 VXI Airbag trim. This high end trim comes with a set of exciting comfort features as well as proficient safety features. This particular trim also gets the features like a driver air bag, outside rear view mirror, rear spoiler, music system, accessory socket, central door locking and so on. Currently, the Maruti Alto 800 model series is doing exceptionally well in the car bazaar and it helping the company to broaden its market share in the country. What truly incredible is about this vehicle is its alluring appearance, practical features, class leading mileage and standard safety functions. Furthermore, this particular variant has a very attractive price tag that can lure any car enthusiast into buying the vehicle. The Maruti Alto 800 VXI Airbag is the top end variant in its model series and it is equipped striking exterior features. The car maker has done up the exteriors of this small car in quite an attractive manner that can steal your attention in the first impression itself. This vehicle has perfect looks that suit the individuals looking for a specific budget oriented car. To begin with the front profile, this four wheeler has a stylish wavefront design with hexagonal shaped air dam that gives a dominating look to the front profile. The headlight cluster is very bold and it houses powerful halogen lamps as well as turn indicators. This headlight cluster surround a sleek grille that is decorated with a chrome plated strip as well as the prominent company logo. Below this, the bumper has a bit of sporty cues with a chin guard sort of design under it that completes the overall front profile. The side profile of this vehicle has very well crafted wheel arches that are fitted with 12 inch steel wheels. These steel wheels are equipped with full wheel covers and further covered with tubeless radial tyres that makes the side profile look decent. The door handles have been painted in body color, while the ORVM on the driver side gets a black color garnish. When it comes to the rear end, this hatchback has a smiley like design that captivates you for certain. The taillight cluster has a bolder design that adds a distinct look to the rear. Coming to the interior section, this hatch has a no nonsense sort of a design. The company has given a dual tone color scheme inside the cabin with grey and brown combintation that makes the interiors look decent. The design of the dashboard is very simple and it has a central console that is equipped with an air conditioner unit as well as a music player. The seats fitted inside the cabin are quite comfortable and are covered with premium fabric upholstery with a dual tone color scheme. The AC vents have been well placed on the dashboard that cools the cabin and offers a pleasant feel to the occupants. The steering wheel has three spokes and it has silver accents as well as a chrome plated company logo mounted on it. The central console as well as the AC vents too have silver accents that brings a premium look to the cabin. You can also find silver accentuation on the instrument panel and on the inside door handles that compliments the overall look of the interiors. The company has bestowed this top end Maruti Alto 800 VXI Airbag trim with a reliable 0.8-litre F8D petrol mill. This engine can be controlled via a 32-bit computer that further enhances the performance of the motor. This engine comprises 3-cylinders, and 12-valves that makes a total 796cc displacement capacity. The maximum power produced by this engine is about 47.3bhp at at 6000rpm, which is converted in to a peak torque output of about 69Nm of at 3500rpm. The company skillfully coupled this engine with a 5-speed manual transmission gearbox that delivers the torque to the front wheels of this hatch and returns a maximum 22.74 Kmpl of mileage. MSIL hasn't compromised on the braking and handling aspects of this hatch. The company blessed this four wheeler with a highly proficient solid disc and drum brakes that are fitted to the front and rear wheels. This superior braking combination offers a reliable performance all the way on road and ensures safe driving experience. The power steering system incorporated to this vehicle is highly responsive and helps the driver to gain precise control over the hatch. The Maruti Alto 800 VXI Airbag trim is the top end variant in its model series yet very in the automobile segment. Despite being the low cost version, it is being blessed with exciting set of comfort features. The list of features including front door trim map pocket, an air conditioner with heater, power steering system, remote fuel lid opener, remote back door opener, digital clock, bottle holder , internally adjustable outside mirror, driver side storage space, can holder, dual trip meter, passenger side utility pocket, and several other features. Also the company is offering this particular trim a music player that comes with USB and AUX-In connectivity sockets as well as a radio player. You can also notice some of the features inside the hatch including a rear parcel tray, accessory socket, driver and passenger sun visor, floor console, floor carpets, are just to name a few. The Indian auto maker is offering this top end version of Maruti Alto 800 with a list of features including headlight leveling, high mounted stop lamps, an engine immobilizer system, collapsible steering column, tubeless tyres, driver airbag, central door locking system , and front intermittent wiper and washer. Pros : Price is very attractive, comfort features are quite satisfying. Cons : Acceleration and pickup must improve, cabin space is not up to the mark.